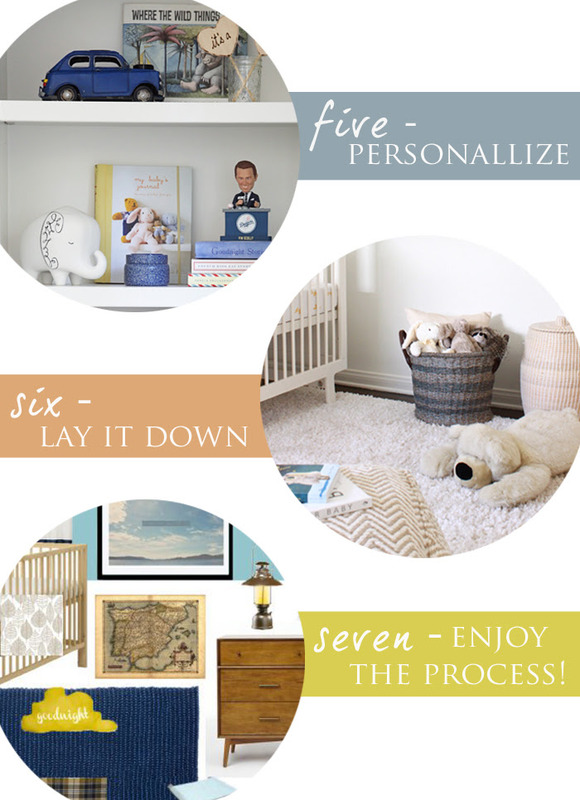 I wanted to share my tips to designing your baby’s nursery. It’s such a special and sweet time, I’m hoping that these seven tips will help guide you in creating a unique space for your baby to come home to. These are typically the steps I use to guide me in the designing process for clients. Enjoy! one – gather inspiration: Deciding on an initial design can feel overwhelming, but I suggest start visiting baby sites and stores to begin taking notes on items that catch your attention. Look through magazines or easier, start a Pinterest board and save images that you are drawn to. Determine what mood, style and vibe you’re going for. two – pick a starting point: once you’ve figured out the look you’re trying to achieve, pick an element and branch out from there. This could be a statement fabric filled with color, a wallcovering or a piece of art. It should be a piece you absolutely love, which makes it easier to continue to select inspiration from. If starting with a theme, careful not to get carried away and take things too literal. 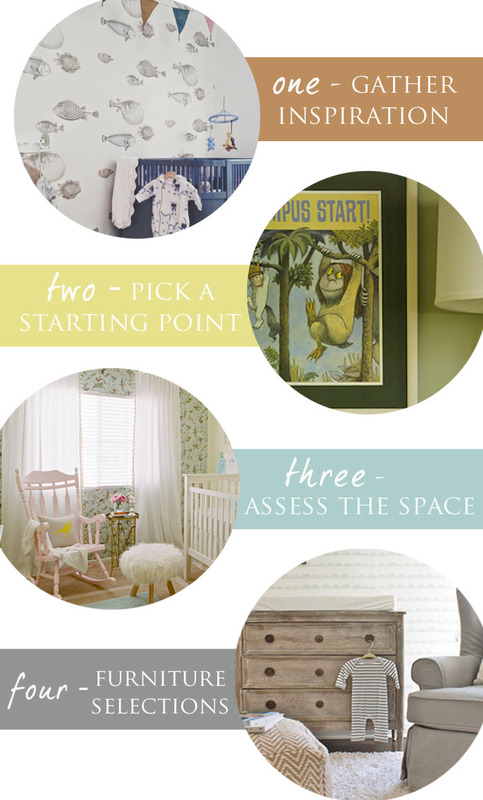 three – assess the space: walk through the nursery and determine best furniture plan according to your needs. Measuring is crucial! four – furniture selections: avoid furniture sets. For a unique look, a modern crib paired with a traditional glider or dresser looks far more interesting than looking like your nursery came right out of a catalog. Making adult-like purchases such as buying a dresser to use as a changing table is a piece your baby can grow with as opposed to grow out of. five – personalize: Accessories are a great way to add personality. They’re what differentiate from other nurseries and help make your baby’s room feel extra special. I like advising toward adding meaningful pieces from both parents. This could be displaying baby books that once belonged to the mother to incorporating texture with a blanket that was used by the father. six – lay it down: don’t forget the area rug. Crucial in a household with hard surface flooring. Buy the biggest you can afford. I find that rugs wide enough to the reach the perimeters of furniture are ideal for a crawling baby. Soft, cozy rugs work well parents to lay on as well. seven – enjoy the process! The list of baby needs seems endless but I actually think the design process should be a nice break from all the rest of the must haves. This is your opportunity to let your personality come through and express a playful, youthful side we wish we could do with our grown up spaces. Create a moodboard to get a better sense of how things will all look together visually.